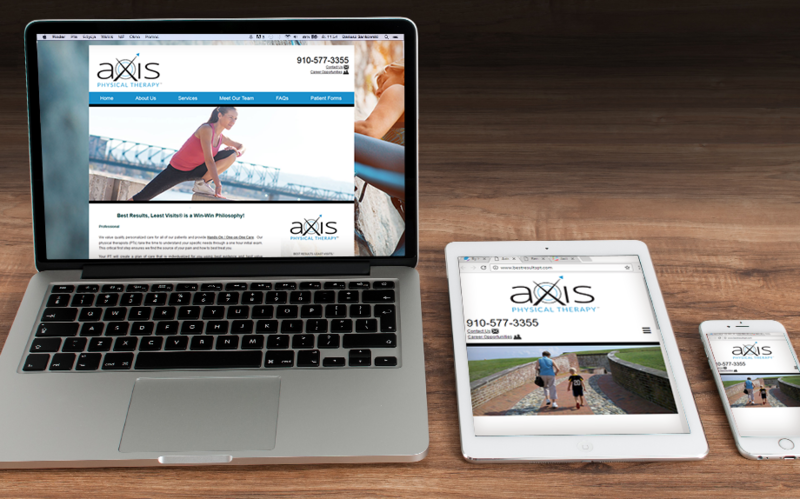 Axis Physical Therapy Clinic renamed and re-branded their practice. Their clinic had grown and the original look felt out of sync with the quality and quantity of services provided to their patients. As part of the re-branding effort, their website got a “facelift” too. Client Axis Therapy Clinic, Inc.